A quick view of the most influential metrics in Dallas. If you’re looking for homes in Texas, especially around the Dallas/Fort Worth area, you have many wonderful properties to choose from. This vibrant metro area combines all the best qualities of the great state of Texas – a flourishing economy, countless cultural and recreational opportunities, excellent healthcare and school systems as well as a friendly disposition. Dallas is one of the most progressive cities in the United States and boasts many unique traits, sights and experiences that can’t be found elsewhere. Dallas is a striking city which offers many unique features. 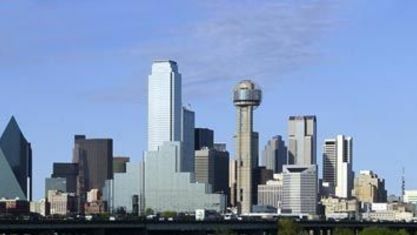 Downtown Dallas is considered the economic center of the metro area, which is full of retail, restaurants and nightlife. The city’s broad economic base includes banking, commerce, communications, technology and energy, allowing residents to choose from various career fields. Diversity in Dallas is evident from the many eclectic neighborhoods that have developed. The chic Uptown area appeals to citizens who prefer to be in the middle of it all with high-rise condos, bustling offices and countless attractions. The Dallas Arts District is an entire urban area devoted to artistic pursuits. 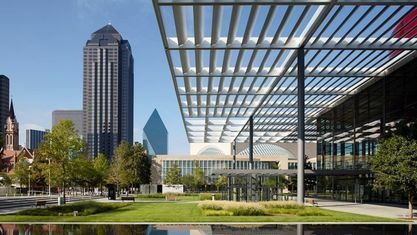 The Crow Collection of Asian Art, Dallas Black Dance Theatre, Dallas Museum of Art, Meyerson Symphony Center and Nasher Sculpture Center are just a few of the institutions open to the public in the Arts District. Other attractions hosted by Dallas include the State Fair of Texas, Red River Showdown, the annual rivalry between the University of Texas Longhorns and the Oklahoma Sooners. The annual Goodyear Cotton Bowl Classic, is played at AT&T. Dallas is home to many premier entertainment venues and special events. American Airlines Center is a premier entertainment venue that hosts sporting events, music concerts, family-friendly events and other special activities. The American Airlines Center is home to the Dallas Mavericks and Dallas Stars, the city’s professional basketball and hockey teams. AT&T Stadium, affectionately referred to by locals as “Jerry World” is home to America’s team, the Dallas Cowboys. Opening in 2009, it boasted the largest high-definition video display in the world. Since that time, it has played host to the NBA All-Star game, Super Bowl XLV, the 2014 NCAA Men’s Final Four and the first ever College Football Playoff National Championship, as well as a wide variety of other sporting events, concerts, and more recently, the Country Music Awards. This modern arena has a retractable roof that provides guests a unique entertainment experience. Dallas has a strong faith-based community, and the traditional values of life-long residents blend well with a young, liberal population that gives the city its wonderful diversity. As far as cuisine, Dallas has dishes from all around the globe – from local specialties such as authentic barbeque and Tex-Mex to international flavors of Thai, Indian, Italian, French and more. Dallas is also known for its’ many steakhouses and burger joints. Many neighborhoods have quick access to both downtown and the metropolitan area, and offer extremely safe, healthy environments in which to raise a family. Education is a top priority for residents, and some of the nation’s best private schools are located in Dallas. Each institution offers something unique to its students – The Hockaday School is an all-girls boarding and day school, while St. Mark's School of Texas prepares boys and young men for the future. Other renowned private schools are the Episcopal School of Dallas, Shelton School, Greenhill School, Lakehill Preparatory School, Parish Episcopal School, Prestonwood Christian Academy and Trinity Christian Academy just to name a few. Dallas also has several college preparatory Catholic schools such as the all-boys Dallas Jesuit College Preparatory, which serves grades 9-12, the all-girls Ursuline Academy, grades 9-12, and Bishop Lynch and Bishop Dunne, co-ed Catholic high schools, grades 9-12. The Dallas Independent School District also has promising magnet schools offering wonderful arts and music programs. Singer Norah Jones hails from the Dallas Arts Magnet. Perhaps the most attractive thing about living in Dallas, Texas is the environment it produces. Dallas residents take pride in preserving the area’s natural environment in their neighborhoods. Being at home is relaxing and peaceful, due to the quiet neighborhoods and the focus on the preserving of nature, whereas the downtown area is relatively close and can be reached in a few minutes’ drive. This allows one to live however one pleases, be it in the hustle-bustle of the city or the peaceful suburbs around it. There is something for every type and shape of lifestyle in Dallas, and each is sure to please. Looking for Dallas homes for sale? Search our local listings database for access to listings in Dallas and the surrounding areas. Whether you want to buy or sell Dallas real estate, you can browse through properties or find a wide variety of real estate resources available on this website. If you are looking for a Dallas REALTOR®, choose Judy Switzer & Associates! As your Dallas real estate broker, Judy Switzer can assist you with all of your home buying and selling needs. The team can provide you with access to the local listings database and offer their experience and knowledge to make the home buying or selling process easier for you and your family. Contact Judy Switzer & Associates today to get your home search started! View our selection of available properties in the Dallas area. Check out the latest demographic information available for Dallas. Get to know Dallas better with our featured images and videos. Learn more about schools near Dallas complete with ratings and contact information. 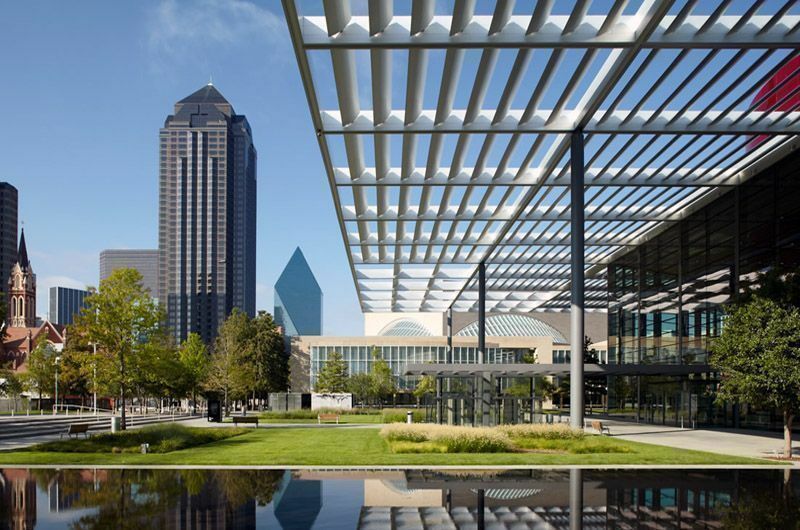 Browse through the top rated businesses in the most popular categories Dallas has to offer.